JNN 19 Oct 2015 Damascus : The Yemeni army and popular forces hit a strategic military air base in Asir province in Southern Saudi Arabia with Scud missiles, killing tens of high-ranking Saudi officers and commanders and destroying over two dozen F-15 fighter jets and Apache helicopters. At least 66 high-ranking Saudi army officers, including two senior commanders, were killed when the Yemeni missiles hit Khamis Mushait air base in Asir province in retaliation for the kingdom’s aggression against their nation. The Yemeni forces also destroyed 17 F-15 fighter planes and 9 Apache helicopters. About 300 Saudi officers were also injured in the Yemeni missile attack on Khamis Mushait air base. 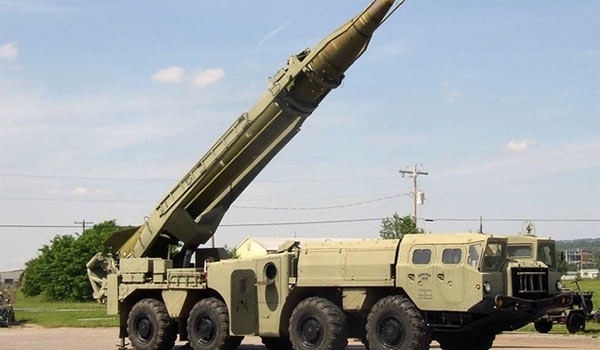 On Thursday, Yemen’s army fired a Scud missile at Khalid bin Abdulaziz air base in Asir province. Meanwhile, Israeli media reported that there is information confirms that Israel assisted Saudi Arabia in its war against Yemen. On Wednesday, Saudi warplanes bombed the Yemeni Province of Ta’iz, leaving at least 4 civilians dead. The four civilians were killed in the airstrikes that hit an airport in Ta’iz, reports said. Also on Wednesday, Saudi air raids hit the Yemeni Province of Sa’ada, killing at least a civilian and injuring several others. A civilian was killed and three women were injured in Saudi airstrikes on Sa’ada, sources said. Two houses were reportedly destroyed in the airstrikes on the province. Meanwhile, Saudi artillery and missile attacks hit various regions in the same province. Saudi Arabia has been striking Yemen for 205 days now to restore power to Hadi, a close ally of Riyadh. The Saudi-led aggression has so far killed at least 6,638 Yemenis, including hundreds of women and children. This entry was posted in Middle East and tagged Ansarullah, Apache, F - 15, missiles, Yemeni Forces. Bookmark the permalink. ALHAMDOLILLAH . THIS IS THE NEXT STEP AFTER THE SUCCESSES IN SYRIA WITH THE HELP FROM SOVIET UNION . IRAQ HAS ALSO SOUGHT HELP AND SOON THE WAHABI TAKFIRIS ARE GOING TO BITE THE DUST . AND YEMEN SHALL ALL BE WAHABI FREE. ETC THE MOST PROMINENT TERRORISTS SHALL REMAIN ONLY IN THE TENNETS OF PAGES OF HISTORY AS THE MOST EVIL BLACK BLOTS..